See the magic that happens on stage! In the last few days, the cast members of Frozen the Broadway Musical were featured on American morning talk shows performing on Broadway’s St. James Theatre. 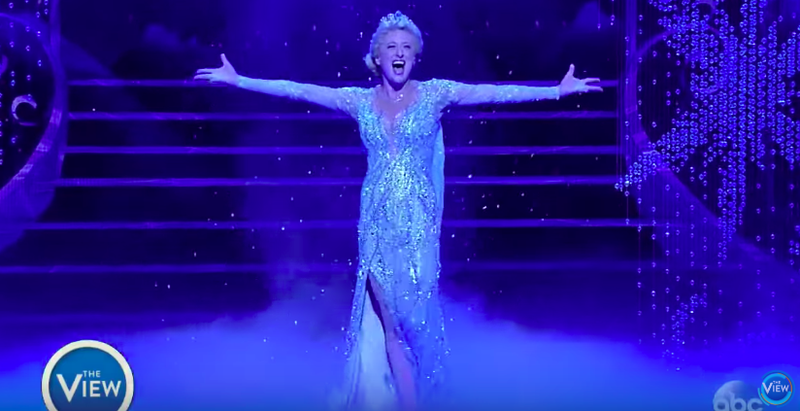 Patti Murin (Anna), Caissie Levy (Elsa), and the company of Frozen performed ‘For the First Time in Forever’ on ABC’s Good Morning America last May 30, and Caissie Levy performed a solo performance of ‘Let it Go’ on ABC’s The View last May 31. Frozen officially opened on Broadway last March 22 and has been nominated for 3 Tony Awards– Best Musical, Best Book of a Musical for Jennifer Lee, and Best Original Score for Kristen Anderson-Lopez and Robert Lopez. The musical also stars John riddle as Hans and Jelani Alladin as Kristoff. The musical is directed by Michael Grandage. You can watch videos of the performances below! Previous FIRST LOOK: Hit Songs from All Out Of Love the Musical Performed by MiG Ayesa and More! Next 11 Songs We'd Love to Hear in "Ang Huling El Bimbo"